I do not usually post book trailers here because I'm not such a big fan of them, but I've been excited for this book for months and I think the trailer is pretty well done! I like the graphics with the shadows on the wall and the short quotes! Also, we get some more info about the mysterious Spirit-Hunters. I'm really cuious about the worldbuilding in this book! 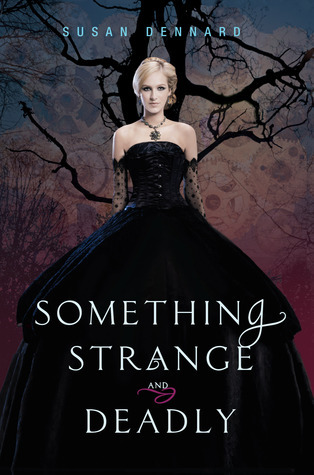 It's Victorian and paranormal and sort of steampunk-ish, a combination I really enjoy! Also, zombies. I know they are all the rage now, but I actually haven't read a zombie book yet... I've been meaning to read Dearly, Departed by Lia Habel but I'm waiting for the paperback edition with the pretty cover to release *ahem*. Not heard of Something Strange and Deadly before?